Our opera productions have a lengthy six-week rehearsal period before curtain-up on the first night. However, the birth of a new production takes a lot longer, and planning starts years before the singers arrive to have their costumes fitted and begin rehearsals. Tom Harrison, Production Manager at Glyndebourne, takes us through the process of getting an opera to the main stage. Around two years before a new production opens, the director and designer are sent a ‘black box’ by the production department – a scaled-down version of the stage area that gives the creative team an idea of the space to play with before they begin any actual designs. About six months later the director and designer present a ‘white card model’ to Glyndebourne’s executive directors, often including detailed technical drawings from the construction of the set and essential information on space, structure and practical implications of the design, as well as detailed 3D set models. Once the designs are approved, Glyndebourne’s production team gets to work. When designs have been agreed, relevant contractors are approached and the set-building begins. Tom oversees the whole process and works on the production until curtain-up on the first night. 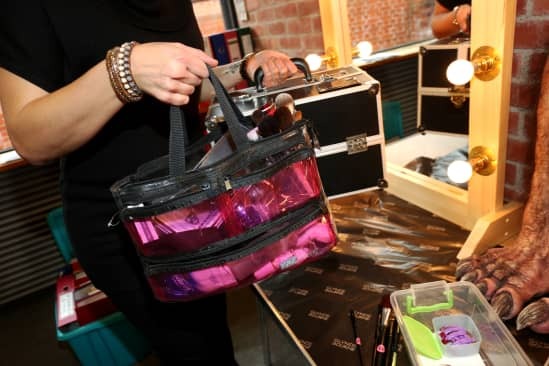 A day in the life of a make-up artist at Glyndebourne is hugely varied. 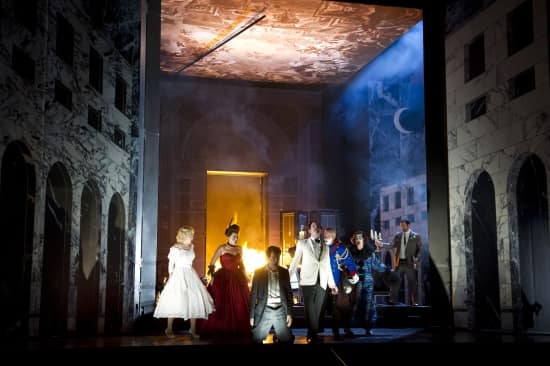 From applying 60s-inspired make-up to the cast of Le nozze di Figaro (see video) to working on prosthetic fairy ears for A Midsummer Night’s Dream – very few days are the same. Sarah Sanderson is one of our make-up artists and has worked on a variety of different productions. Sarah is particularly proud of the quality of work produced at Glyndebourne. But what gets her most excited is working closely with the exceptional performers and being a part of their physical transformation. The relationship between directors, designers and the make-up team is hugely collaborative. 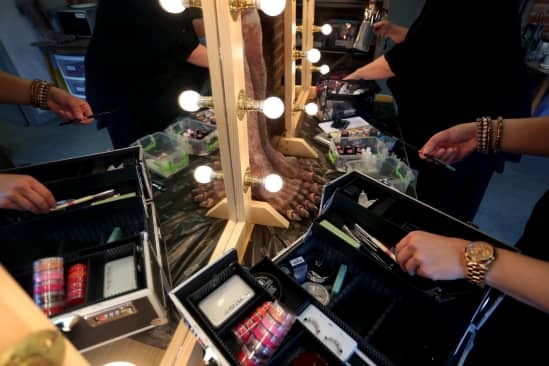 Sarah Piper (Head of Make-up) works closely with the designers to establish their vision, to research historical make-up, find the right pigments and to source and create prosthetics. This is translated into moodboards, before alterations once the cast arrives and rehearsals begin. The scope of work for the team, which varies from one to 20 make-up artists for each opera, depends on the vision and direction of the opera. Exceptional quality always remains paramount, whether it's for a Festival or a Tour production. Sheila Slaymaker, our Head of Wigs, says her favourite part of the job is ‘the successful realisation of the transition needed for each artist in each role’. Our dedicated wig team makes this possible, taking great dedication and pleasure in creating the detail. Sheila talks us through how they achieve the final look. For each opera we begin with a design brief. Wig-making begins once we've learned about the characters and their actions. Hair is ordered or coloured, and wig foundations are made according to each artist's head measurements. We fit each foundation, before hand-knotting the wigs, taking into account the desired hair style and colour blend. This is a detailed process requiring lots of patience and attention to detail. When the production process is complete, the wigs are cut into shape and styled according to each artist's head and face shape but within the design brief. At a final fitting the designer and artist make further personal adjustments to each wig. 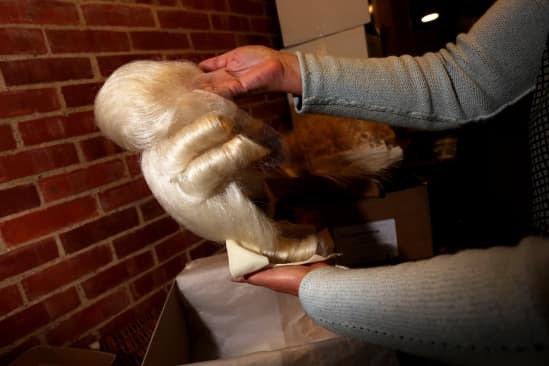 Once all the performers in an opera have been through this, the wigs are ready to be seen on stage at the Piano Dress (first rehearsals on stage in costume). 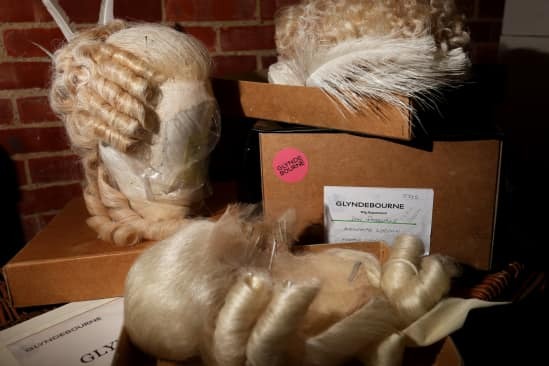 Often we have the opportunity to recycle wigs, but all alterations happen in the same bespoke process to ensure we maintain the exceptional quality Glyndebourne has become so known for. In the auditorium, often in a lowered area in front of the stage, is the pit. This is where the musicians perform from. The conductor is typically positioned at the front of the orchestral pit, facing the stage. 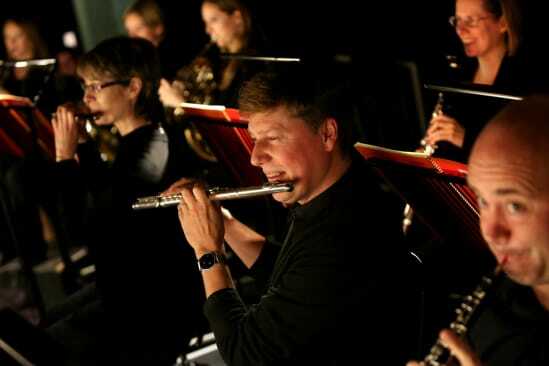 There's no fixed number of musicians in an orchestra – it varies according to the opera. 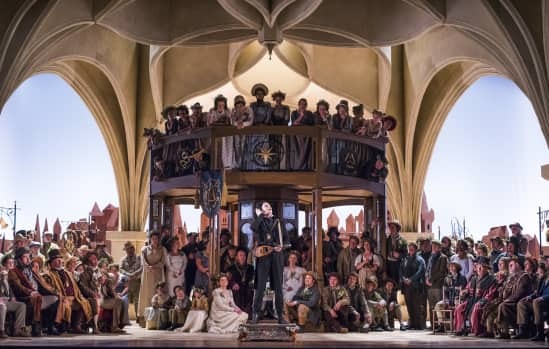 Older operas (eg Purcell’s Dido and Aeneas) could have just 20 musicians in the pit (the pit didn’t exist then so musicians used to play on stage), and newer operas (particularly operas by Wagner) can have over 100 musicians. 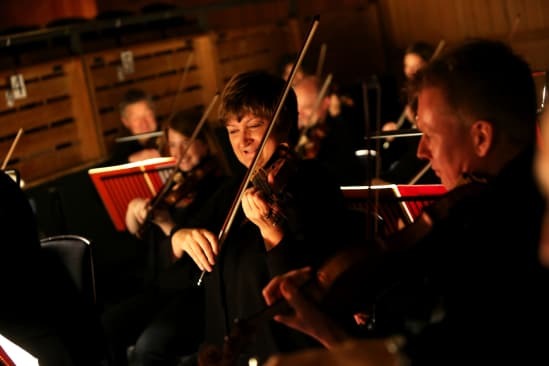 'Once an orchestra has settled in to Glyndebourne, be it for the Festival or our own touring orchestra, I'm there to deal with the positioning of instruments and other music furniture such as the chairs and music stands we need (not forgetting the music).